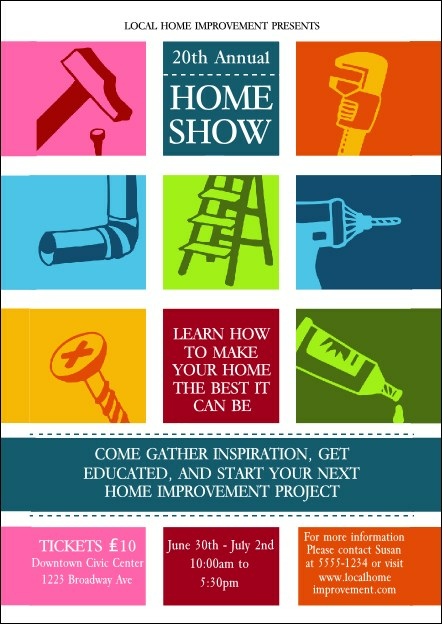 Use all the tools in your kit when you send out the Home Show Postcard before your big event. The vibrant colours highlight the tools you'll be using when it's time to fix up your abode. Fill in twenty-three lines with your event information so guests are in the know. Revamp your advertising plan with the right postcard from UK Ticket Printing.